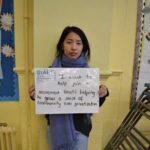 With help from the Bright Ideas Fund, StART used the grant to develop its business plan, revise its financial model, improve its accountability to the community and produce a brochure for investors. The housing development helps meet the needs of local people faced with a severe housing crisis in London by providing housing at a third of median wages in Haringey. 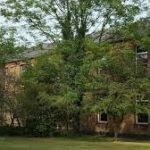 With the redevelopment taking place on the site of St Ann’s Hospital, StART plan to advocate for NHS and mental health services to be integrated into the fabric of its development plans. Along with using sustainable practices and products, StART will work to conserve the green spaces of St Ann’s hospital and make them more accessible for residents. 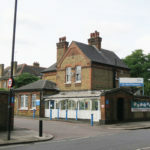 When two-thirds of St Ann’s Hospital in Haringey, North London was put up for sale for a private housing development, only 14% of those proposed new homes were classed as “affordable” – a term which the government defined as being no more than 80% of the average local market rent. The development took little account of the needs of local people facing a severe housing crisis. In response, a group of Haringey resident and workers have initiated a community-led and transparent process to provide genuinely affordable homes in the area. St Ann’s Redevelopment Trust (StART) aims to put local people in control of the development and to create genuinely affordable homes at a third of the median wages of people in the area. 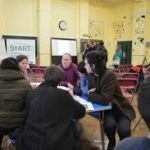 To do so, they have set up a community land trust – a membership organisation of 350 people who live, work or have strong connections to Haringey. It aims to build 800 genuinely affordable homes on the hospital site currently up for development and will work closely with City Hall who have now purchased the site. The StART development aims to create a vibrant and inclusive community around the site – a better place through community business. It will focus on creating green and sustainable spaces and promoting health and wellbeing through its design and working relationship with St Ann’s Hospital. With the help of Power to Change’s Bright Ideas fund, StART accessed a grant of £14,933 which allowed them to focus on developing organisational policies and procedures that improved their community engagement, accountability and consultation practices. Equally, the Bright Ideas programme allowed StART to develop a business plan, revise its financial model and develop a prospectus for investors and funders. Crucially, these new policies and business plans were linked to an improved and robust Equalities and Diversity strategy to help ensure StART is able to reach out to and involve Haringey’s diverse communities. The Bright Ideas grant has allowed us to reach out to new members and ensure we have robust policies in place to support them. We developed a plan to involve young people in StART. The grant is helping us to continue to build our community and ensure it is more inclusive and welcoming.